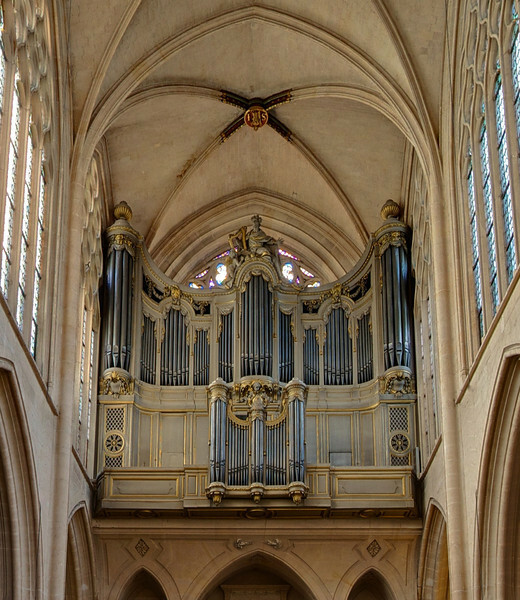 The organ was built for Sainte-Chapelle and transferred to Saint-Germain-l'Auxerrois in 1791. It was redesigned in 1820 and 1840 and restructured in 1848. The organ was not working from 1995-2005. For more detail see the church website and Organs of Paris.